Vodafone Idea Ltd's upcoming rights issue of Rs 25,000 crore will hit the market in February-end. The company had not mentioned the purpose of fundraising in its latest announcement of the rights issue and neither did it inform on the time horizon. 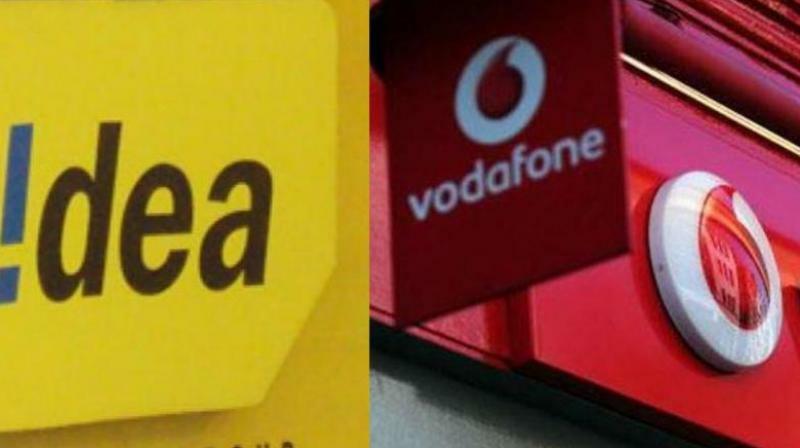 New Delhi: Vodafone Idea Ltd's upcoming rights issue of Rs 25,000 crore will hit the market in February-end to partly pare its rising debt currently at around Rs 1.14 lakh crore and meet the spectrum dues to the government and is expected to be fully subscribed on the non-promoters' portion or the public part of the issue, market sources said. Vodafone Idea, the top mobile operator by subscribers currently struggling with losses, huge debt and an upcoming spectrum dues payment deadline to the government will have bulk of subscription of this rights issues from the promoters -- Vodafone and Idea and in serious need of funds to meet these expenditures. The company had not mentioned the purpose of fundraising in its latest announcement of the rights issue and neither did it inform on the time horizon. Of the Rs 25,000-crore, bulk of Rs 18,250 crore will be contributed by the promoters — Rs 11,000 crore by the Vodafone group and Rs 7,250 crore by the AV Birla group. The balance will be raised from the public. The urgency of raising the funds could be high as the company’s debt to Ebitda ratio is said to be 24 times currently and which could be a high 19 times in FY20. Bharti Airtel’s net-debt-to-Ebitda at the end of the September quarter was 4.65 times, said the sources. Market sources said the hard times on the company financials and the aggression of Jio after its first-ever net profit of Rs 508 crore after two years of its operations, alerts the incumbents on the need to improve market share, profits and pare losses calling for promoters' capital infusion in a big way as has happened in case of Jio. Jio has also hinted that its strategy of lower tariffs and volume game is here to stay so forcing VIL to infuse funds to remain competitive, they said. When contacted, a VIL spokesperson told FC, "Will get back as and when we do have something further to comment on this. At present we have nothing more to share on record or as background beyond the information filed in the stock exchanges." With a ballooning debt and inability to service it through operations, Vodafone Idea is now on a fundraising spree. Yet, its net debt to Ebitda stands at around 26 times due to the estimated 70 per cent fall in Ebitda in FY19 versus FY16 (FY19 includes five months of Vodafone Idea merger),” analysts at Motilal Oswal Financial Services said. Ebitda (earnings before interest, tax, depreciation and amortisation) measures a company’s profits from its operations. This is the second time that the promoters are infusing fund in the company. Earlier this year, promoters of Vodafone and Idea Cellular had infused around Rs 14,140 crore in their respective companies for the merger between the two to go through. Around 79 per cent of Vodafone Idea’s net debt of Rs 1.13 lakh crore, is spectrum-related and owe to the department of telecommunications. The company needs to pay half the telecom industry’s annual deferred spectrum payments, between now and 2031. For instance, nearly half of Rs 10,579 crore of the Rs 21,218 crore which the industry needs to pay the DoT in 2018-19, is Vodafone Idea’s share. In comparison, Bharti Airtel’s annual outgo will be Rs 5,573 crore. Few months ago, the company chairman Kumarmangalam Birla had met Department of Telecom officials including Minister Manoj Sinha requesting deferral of spectrum dues payment of Rs 9,000 crore by two years from March 2019 but the department is said to have not obliged it leaving no option but to pay the dues on time and any default on that payment could tarnish the image and fund raising capacity of the company from the market leading to higher interest rates, said the sources. “We expect Vodafone Idea to be number three player by early FY20 and continue losing market share over next two years. Consequently, our FY19-21 Ebitda falls 34-13%,” analysts at Jefferies have noted. Similarly, analysts at JP Morgan had said that Idea does not appear to be in a position to fund even basic capex, given the burdensome leverage. “Even if the entire Rs 25,000 crore is used to service debt, the company will be left with a debt of Rs 92,000 crore, taking into account interest cost, by the end of the current financial year, they had noted. Vodafone Idea also reported its first quarterly numbers after the merger — the financials are not comparable with previous earnings. Its revenue stood at Rs 7,664 crore with net loss at Rs 4,974 crore. Ebitda at Rs 461 crore and Ebitda margin at 6%. Average revenue per user at Rs 88. The joint entity had vacated some towers, post the merger, but tower companies have subsequently raised demands for Rs 4,500 crore. The company says it's hopeful of settling such claims for not more than Rs 1,000 crore. On the other hand, Reliance Jio with investments of over Rs 2 lakh crore reported a net profit of Rs 504 crore within two months of commercial operations, when all the telcos are in red. The company had reported a loss of Rs 270 crore in the immediate preceding quarter. Reliance Jio’s total subscriber base stood at 160.1 million as on December 31, making it the fourth largest telco after Bharti Airtel, Vodafone and Idea Cellular.